Trivandrum, 14 December 2012: The Philippines film Sta. 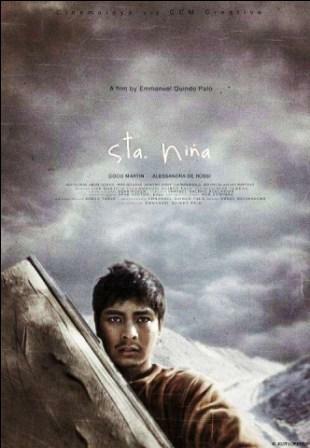 Nina directed by Emmanuel Quindo Palo bagged the prestigious Suvarna Chakoram (The Golden Crow Pheasant Award) in the International Film Festival of Kerala 2012. Francisca Silva received the best director award Rajata Chakoram (The Silver Crow Pheasant Award) for her movie Ivan’s Woman. The best debut film award went to Filmistaan directed by Nitin Kakkar. The Audience Prize Rajata Chakoram was given to Shutter directed by Joy Mathew which was rated as best by delegates. The Iranian film The Last Step, directed by Ali Mosaffa and Senegal film Today directed by Alain Gomis got Special Jury mention. Apart from the awards, Suvarna Chakoram carried a cash prize of 15 lakhs to be shared by the director and producer of the film. The winner of Rajata Chakoram got rupees 4 lakhs whereas the Rajata Chakoram for best debut film carried rupees 3 lakks. The Audience Prize Rajata Chakoram got rupees 2 lakhs. The film Shutter voted by audience got 4.15 points whereas Nitin Kakkar’s Hindi film positioned behind with 4.10 points. The film I.D directed by Kamal K M touched the third position in the rating preference. The film The Repentant, which portrayed the life a ex-terrorist, was selected for FIPRESCI award. FIPRESCI award for the best Malayalam film was given to Ithramatram directed by K Gopinath. The FIPRESCI awards are instituted by the International Federation of Film Critics. The film I.D, directed by Kamal K M got NETPAC (Network for the Promotion of Asian Film Centre) award for the best Asian Film in competition. NETPAC award for the Malayalam film went to Ee Adutha Kalathu directed by Arun Kumar Arvind. Manoj Kana’s Chayiliam got Hassan Kutty Award for debut Indian film. The award for the best iffk reporter in print media was shared by R Rins of Metro Vartha and K Pradeep of Janmabhumi. The award for the best iffk TV reporter was also shared by Deepa Kelad (Manorama News) and Safir Salaam (India Vision). Parvathy Nair of Big FM got the best radio iffk reporter and Manorama Online was selected for best online IFFK reports. The awards were given away by Chief Minister Oommen Chandy in a grand gala closing ceremony held at Nishagandhi Auditorium here. K C Joseph, Minister for Culture and Rural Development presided over the function. K B Ganeshkumar distributed various media awards the awards for the best reportage on the film festival. Filmmaker Priyadarsan, IFFK Jury Chairman Paul Cox, NETPAC Jury Member Park Sung Ho, FIPRESCI Jury Chairman Gyorgi Karpati, Filmmaker T K Rajivkumar, Chalachitra Academy Vice Chairman Gandhimati Balan, IFFK Artstic Director Bina Paul were among the participants. A musical performace ‘Thalayanam’ by noted Thavil maestro Karunamoorthy lend a cheerful twist to closing ceremony. The IFFK opened a week ago with the screening of the silent movie The Ring by celluloid legendary Hitchcock. The screening accompanied by a live orchestra by a team led by famous jazz sensation Soweto Kinch left behind a memorable experience. A total of 14 movies were screened in competition and most of them were fascinating for the audience. The world cinema category which contained a lot of present day reel depictions along with films of masters like Abbas Kiarostami, Aki Kaurismaki, Bernardo Bertolucci, Ken Loach, Kim Ki-Duk, Lars von Trier, Paolo Sorrentino, Raul Ruiz and Walter Salles. 25 films of 24 women filmmakers lend gender prominence to the festival.